What is Butyrospermum Parkii Butter? Butyrospermum Parkii Butter is actually the INCI term for Shea butter. This is a vegetable fat extracted from the seed of the Shea tree. It has super moisturizing and soothing properties. Butters like this are used in hair, skin, and cosmetic products making it is a versatile ingredient. Off white/ ivory in color with a mild odor, it makes for a great additive in personal care products. Other benefits include it is naturally rich in vitamins A, E, and F.
How Can Shea Butter Be Used In Cosmetics? Butyrospermum Parkii is commonly known as Shea butter makes for a fantastic additive in scrubs, lotions, soaps, and hair products. It can be added into product anywhere from 1% to 99%. Finally, Shea butter is known to have is according by various studies and sources to offer UV protection (up to SPF ~6) and provides the skin with essential fatty acids and the nutrients necessary for collagen production. However, we don’t recommend you make any claims for UV protection. Shea butter is a great super fat for cold process soap recipes. 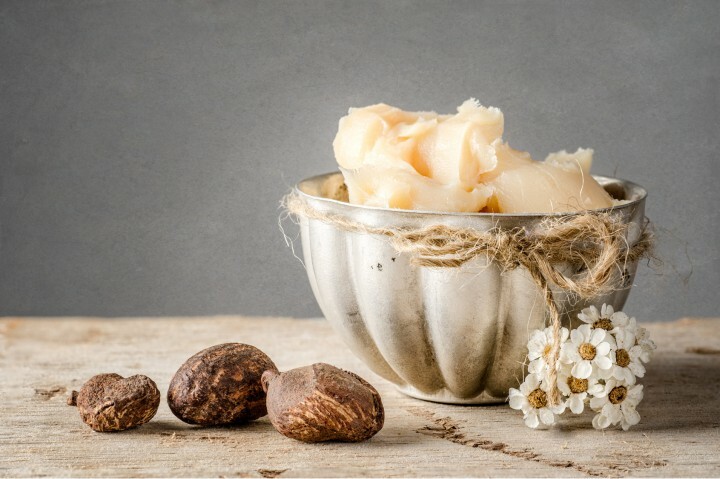 Adding shea butter to your cold process recipe will add moisturizing qualities to the finished soap and will make the lathers silkiness. We use the butter in our Sugar & Shea Body Polish because it exfoliates and locks in moisture in one step. We also use shea butter in our Lotion Bar & Balm for smoothness.